Has it only been a year since the ducks arrived?? I’d guess your bird nest belongs to some kind of swallow–though incorporating what looks like an entire pine cone is pretty unique! Yes, only a year. Hard to believe! 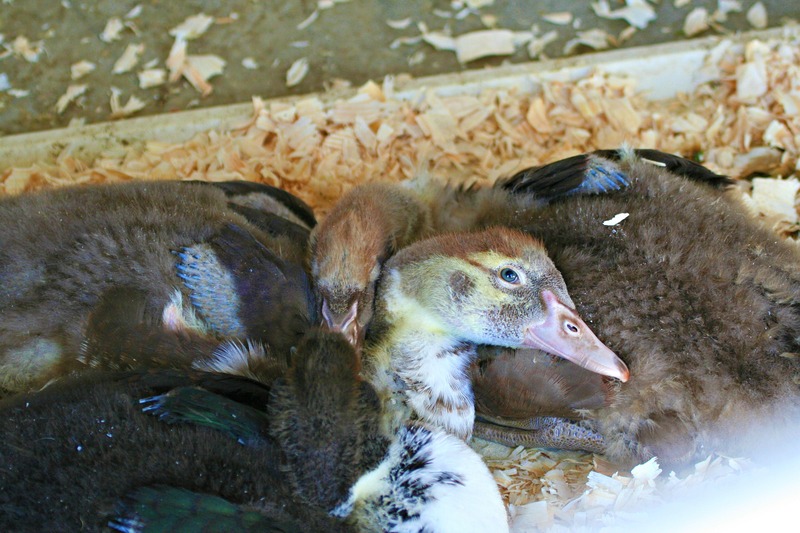 Love the ducklings – very cute! I´,m fascinated from this pretty bird nest. The spotted thing, is it a feather or a peace of fabric? 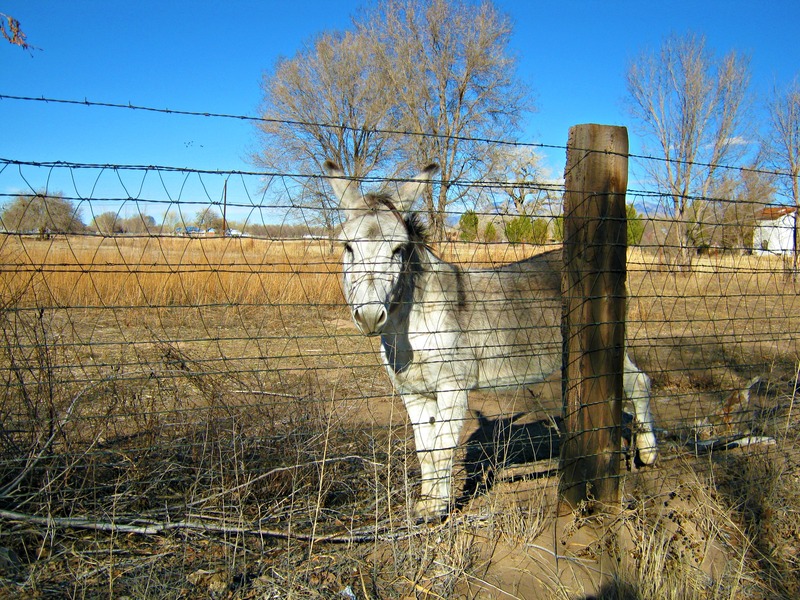 The sweet little donkey was definitely on the wrong side of the fence….. let´s hope that he is now somewhere on the right side. Oh, that’s what I thought was a pine cone, lol! I’m going to believe that Eugene went to live somewhere lovely, with other donkeys and lots of green pastures. He has the sweetest little furry face and deserves to have to fend off admirers. That IS an unusual nest. Hmmmm…wonder who lives in there. Hopefully Eugene found a home with more donkeys. Lovely photos, I’m looking forward to wandering about and catching up! The duckling picture is lovely! 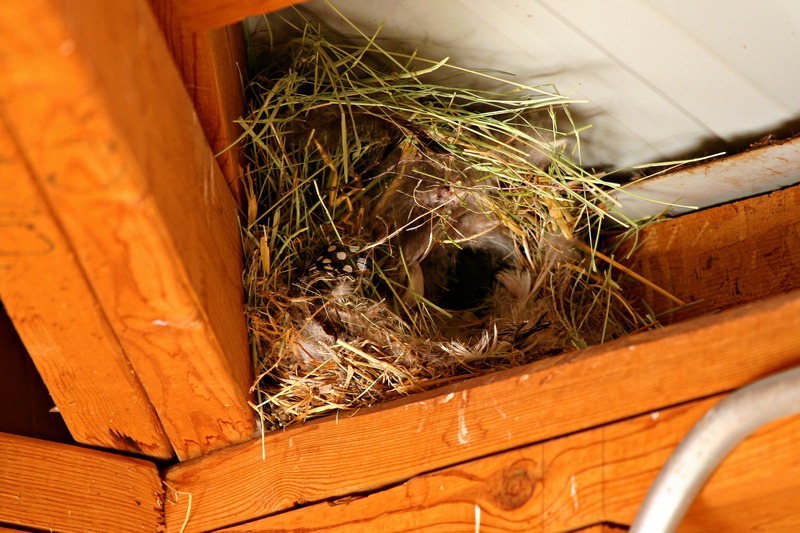 I’ve never seen a “sideways nest” too.